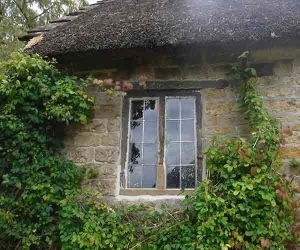 Leaded Light Windows are one of the oldest traditional technique for glazing still use to this day! Correctly Fitted leaded light windows can last any years, so routine maintenance is essential for preservation. Leaded lights windows, are of fairly simple construction. Small panes of glass that are joined together using lead frames which are shaped like an H-Section to hold the pane. Lead’s material properties are soft, flexible and affordable. Which made it a perfect choice for early glazing. Copper lead ties are soldered into the rear of the fame`s which are then fastened to the main window bars to provide structural strength to the panels. Glazing cement is installed under the flanges of the lead came to secure the quarries in place. 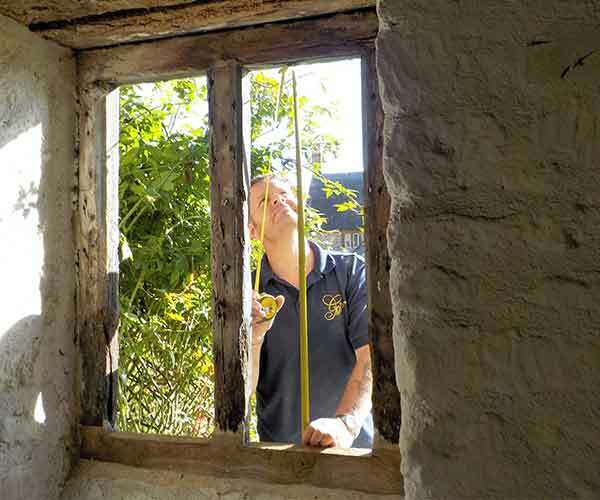 The leaded window unit was then installed into stone, timber or metal surrounds using traditional putty. This glass work technique came about due to limitations in early glass production. Only small pieces of glass could be produced, and as such a technique needed to be developed to create larger glazed spaces. Traditional leaded light windows differ slightly from stained glass. Though the frame glass work technique allowed for both to be produced. Stained glass windows, commonly found in ecclesiastical settings and grand houses, included extra production processes such as painting and firing. This time consuming design process was far too expensive for domestic settings and so traditional plain leaded light windows, have been an architectural feature in UK homes for centuries. Work to the highest standards consistent with the original style of manufacture.